When "libertarian" events occur such as peace treaties, the cessation of hostilities, or the repeal of repressive laws -- Pallas is generally involved. Specifically, configurations of Pallas with the Sun, Mercury, and/or the North Node appear on the charts for such events. This is pretty much always the case, though there are probably other triggers such as Sun-Venus-Jupiter aspect triangles. Today North Korea has walked back its threat to attack Guam. 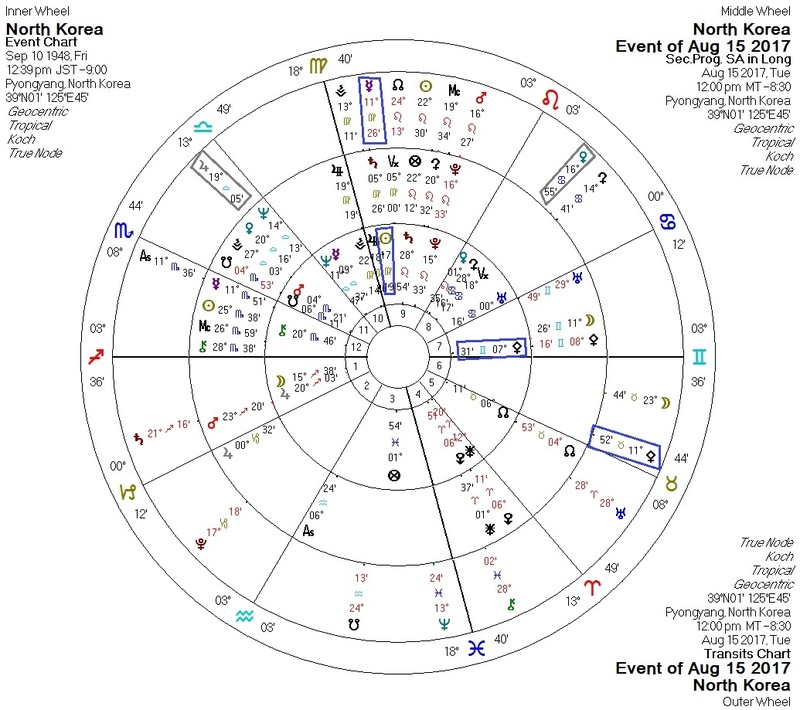 Today's Mercury-Pallas trine forms aspects with the Sun and Pallas on North Korea's horoscope. We also have transiting Venus and Jupiter forming aspects with the North Korean Sun.